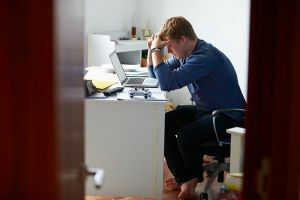 But while it is common knowledge that cyberbullying is a nationwide, even worldwide, problem, it remains something of an unknown quantity for scientists and sociologists. The Internet has sprung up so fast and changes so quickly that, when it comes to collecting data, we simply don’t have enough information. However, there are a few things we do know: young girls are the most likely victims of online harassment and bullying, as few as 1 in 10 children will report the bullying they experience to an adult, and the psychological damage of cyberbullying can last a lifetime. Unfortunately, it is impossible to protect children from all the horrors the world contains. But cyberbullying can come to an end, if we choose to fight against it. Thankfully, many social media sites are making strides to do just that. Facebook has released a “bullying prevention hub,” meant to provide kids and their parents with resources for fighting cyberbullying. Twitter’s anti-abuse tools watch for hateful language, and the site is quick to ban those they feel are misusing their service. Last year, Snapchat launched their #BeStrong filter to take a stand against the bullies. Ark of Hope for Children has launched their Removing Chains live chat text-only support site for bullying or abuse of any kind. But say you’re a parent of a teen who’s being bullied - what can you do? Or you’re a teen who’s seen others bullied online, or maybe you’re being bullied yourself - what can you do? We have a few suggestions here to help you take a stand against cyberbullies! Thanks to the folks at Teen Safe and Deborah Lansing with ContentKarma for the content of the following great infographic.